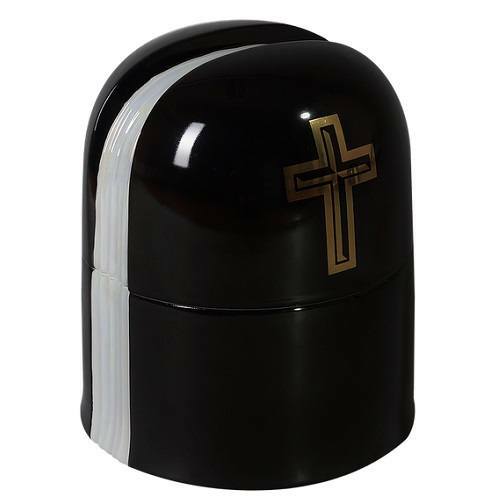 The Croce Religious Cremation Urn is made of certified high purity, European premium porcelain and features a black glaze. The simple shape is accentuated by the pearlescent textured band that runs vertically around the body and lid. The gold cross looks timeless against the deep color. The large capacity is ideal for two sets of remains for families who need an oversized vessel. This urn truly offers a peaceful and dignified final resting place.